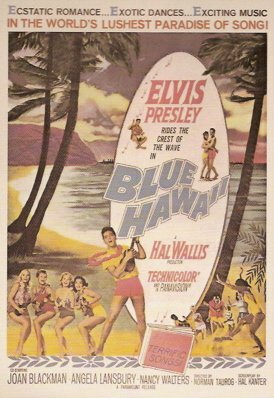 I didn’t become an Elvis Presley fan until 1962, so I didn’t see Blue Hawaii during its original theatrical run in late 1961. However, sometime in 1964 or 1965 the film was re-released in theaters, and so my first viewing of it was on the big screen. Because of its tropical panoramic photography, Blue Hawaii is one those films that is best seen in a movie theater. Among the Elvis fans I’ve known through the years, it is seldom mentioned as a fan favorite, but it was certainly his most successful film at the box office. Also, since that financial success effectively locked Presley into doing similar movies in the future, it can lay a claim to being the most important film in Elvis’s career. For Paramount, producer Hal Wallis returned to the format that had worked so well for him and Elvis in G.I. Blues the year before. It was a formula of musical comedy laced throughout with plenty of Elvis tunes. The success of Elvis’s first post-army film and the relatively low box office returns of 20th Century Fox’s two dramatic vehicles for Elvis—Flaming Star andWild in the Country—brought into focus Presley’s natural place in the picture business. In limiting the film’s success to the short run, Variety’s reviewer underestimated Blue Hawaii’s drawing power. It rose as high as number two in the magazine’s weekly chart of top-grossing films, and finished at number eight in its list of top-grossing films of 1961. Unlike its two 20th Century Fox predecessors, Blue Hawaii is unpretentious from the start. From his first appearance, Elvis voices a series of corny lines and exhibits exaggerated facial expressions. His first song comes when the car radio just happens to be playing the instrumental background music for it. However, Elvis’s campy character calms down quickly and becomes more believable as the film moves forward. Variety judged the story line to be light but workable. “Hal Kantor’s breezy screenplay from a story by Allan Weiss, is the slim, but convenient, foundation around which Wallis and staff have erected a handsome, picture-postcard production crammed with typical South Seas musical hula-balloo,” noted the review. 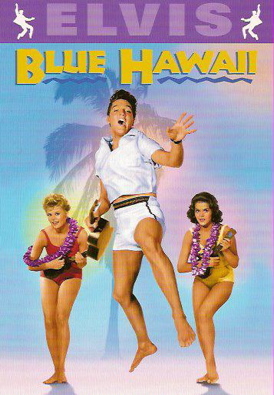 Other than his two documentary films, no other Presley movie features as many songs as Blue Hawaii. In all, there are 14 of them, starting with the title number over the opening credits and ending with “Hawaiian Wedding Song” during the film’s final scene. A dozen others are interspersed throughout the movie. There’s not a single clunker among them, and all are well delivered by Elvis, whose voice was never better at age 26. Presley also shows great range in the music, which includes ballads, love songs, Hawaiian numbers, and a couple of uptempo rockers. 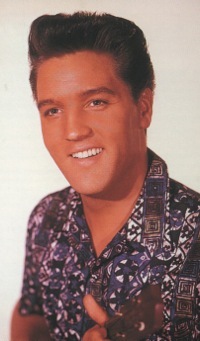 The highlight, of course, is “Can’t Help Falling in Love,” which would become one of the songs most identified with Elvis throughout the rest of his career. The film’s soundtrack album became the most successful LP of Elvis Presley’s career. Soon after the movie opened, the soundtrack shot to the top of Billboard’s album chart and stayed at the number one position for 20 weeks. As happened with G.I. Blues, the Hawaii film fed sales of the soundtrack LP, and the album spawned repeat ticket-buyers for the film. The frequent crooning of Elvis’s character, Chad Gates, is offered without explanation. 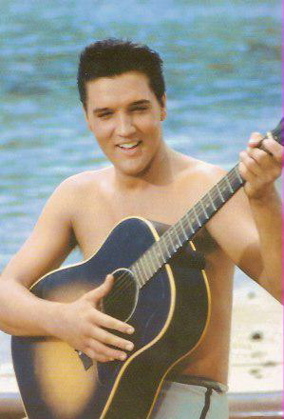 In his previous films, Presley’s characters were usually portrayed as professional singers, or at least having had some musical background. 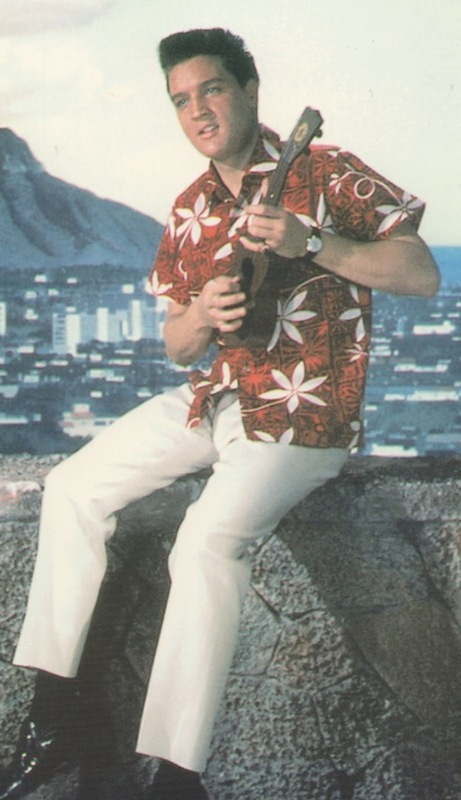 In Blue Hawaii, though, no such foundation is provided for Chad Gates’s singing. The songs seemingly come out of nowhere, but since Elvis is expected to sing, none of the songs seem out of place. Elvis’s acting ability was certainly not challenged in Blue Hawaii, but he handled his modest duties with enthusiasm and humor. At age 26, his physical maturity had put him beyond the “angry young man” role he had played in all but one of his previous seven films. Here he plays an adult tour guide to a group of teenage girls. Even his romance with co-star Joan Blackman lacks the passion of youth seen in his previous films. Chad Gates is an energetic young man, though, who always seems to be in a hurry and participates in water sports and a night club brawl. All in all, he comes across as a thoroughly likeable fellow, and it’s a role that Elvis seemed to enjoy playing. Variety’s reviewer handed out the usual kudos to Presley's supporting cast. For me, though, Angela Lansbury’s performance stands out and nearly steals the film from Elvis. 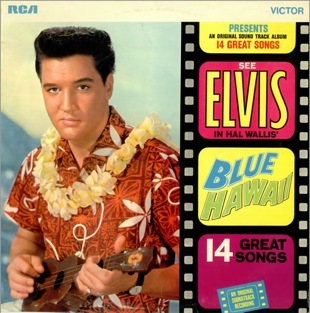 The “Behind the Scenes” notes in RCA’s 1997 “Blue Hawaii” CD soundtrack release claim that Lansbury regards her part in Blue Hawaii as a “real low point in her acting career.” However, her strong comedic role as Elvis’s mother produces most of the humor that is so important to a film like this. 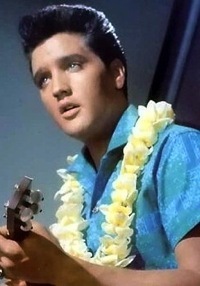 In addition to his fellow actors, Elvis was well supported by a crew that produced the elegant visual elements in Blue Hawaii. “Enhancing the production,” Variety noted, “are Charles Lang Jr.’s picturesque photography, Warren Low’s snappy editing and Walter Tyler’s colorful sets and natural backdrops.” Edith Head’s costumes and the inclusion of several traditional Hawaiian ceremonies also contribute to the pleasing visual backdrop of the film. "Since its financial success effectively locked Presley into doing similar movies in the future, it can lay a claim to being the most important film in Elvis’s career."